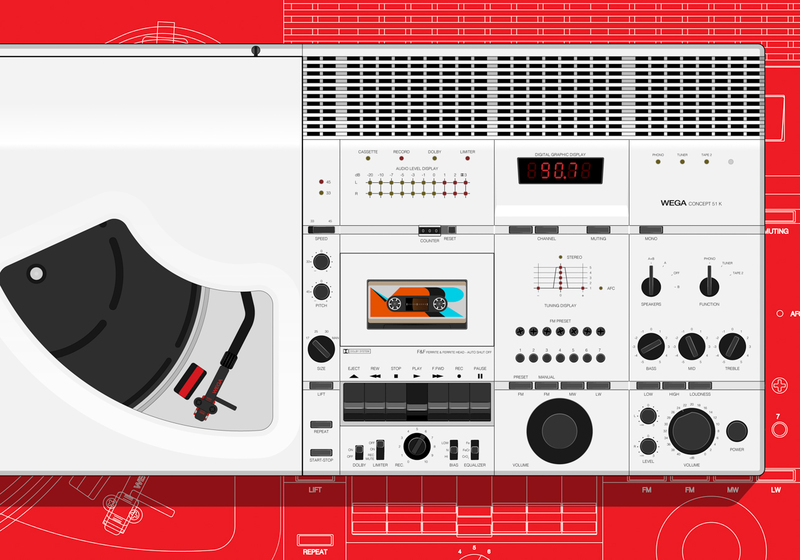 Featured in the New York Museum of Modern Art, the WEGA Concept 51K is an all-in-one stereo system designed by Frog Design founder, Hartmut Esslinger. 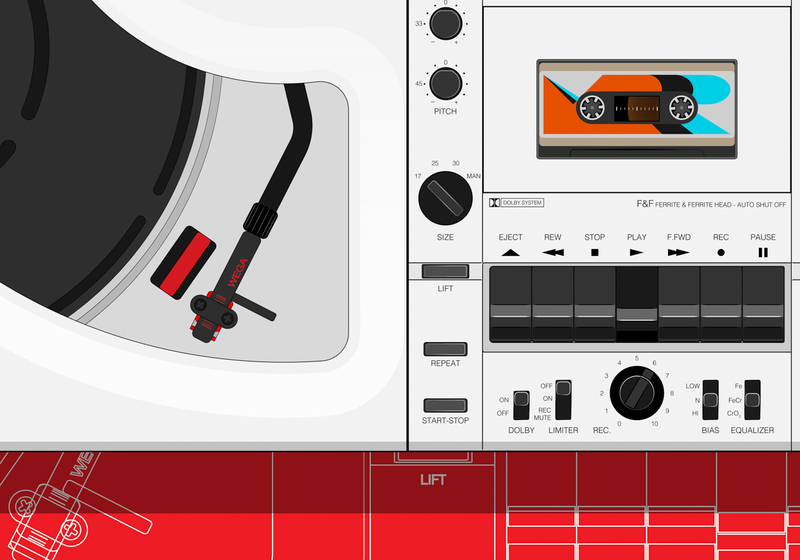 Made in 1976, the 51K incorporated a turntable, FM/AM radio, tape deck and tuner into one sleek package. Esslinger's work with WEGA and later WEGA/Sony (after Sony acquired WEGA in 1974) earned him and Frog Design international fame.